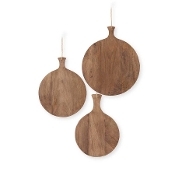 Maple barbeque boards that come in different sizes. Personalize your board with a one letter monogram. 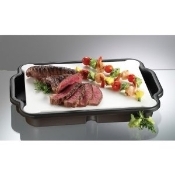 Maple Barbecue Board comes with a brush, a bowl for marinades and an exclusive marinade recipe. 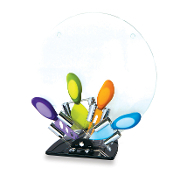 Chalk Talk Glass Cutting Board. Chalkboard inspired motif with vintage typography and sentiment messaging. BEAUTIFUL HEARTS SMILING FACES GOOD TIMES HAPPY PLACES, PEOPLE WHO LOVE TO EAT ARE ALWAYS THE BEST PEOPLE. 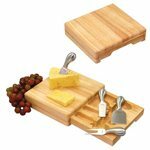 Square wooden cutting board with drawer of stainless cheese tools. 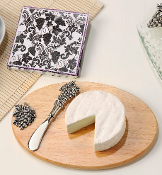 Picnic Plus Paris 5 piece glass cheeseboard with contemporary cheese knives in an acrylic holder The Prep and Slice cutting board is perfect for marinating steaks or slicing and dicing meats. The Picnic Plus 3 Piece Vesta Barbecue Tool Set is especially designed for women with the ergonomically shaped tools for smaller hands.